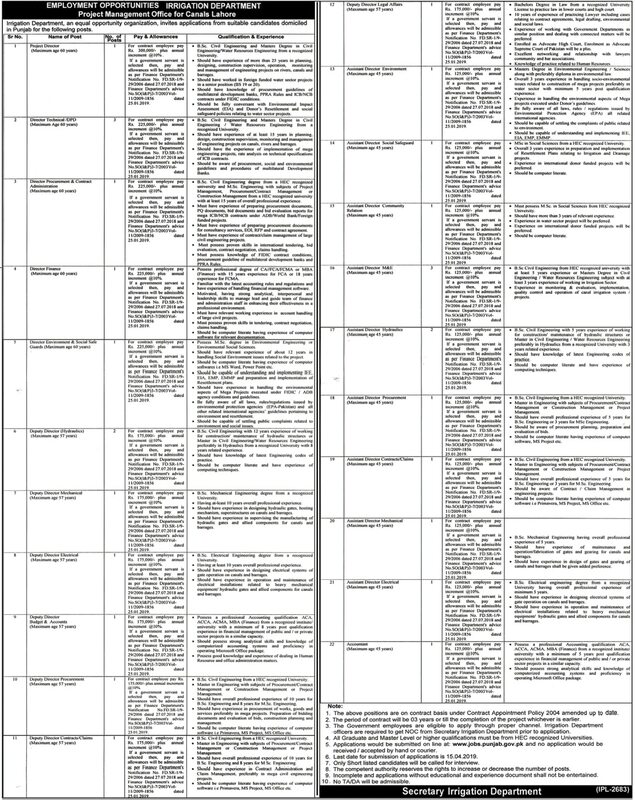 Irrigation Department Jobs 2019, Government of Punjab and it invites applications from suitable candidates who possess qualification mentioned against each post for the following positions. Applications for Sr. No. 1 to 4 should be submitted online at www.jobs.punjab.gov.pk. For Sr. No. 5 to 8 applicants can be downloaded from http://lbdcip.irrigation.punjab.gov.pk or can be obtained from PMO Canals Office. Applications for Sr. No. 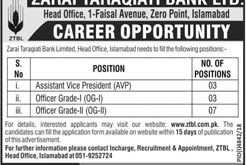 5 to 8 along with attested copies of educational qualifications, experience certificates, one recent passport size photograph and domicile valid driving license should reach the office of Head/Project Director, PMO, Canals, Canal Bank, Mustafabad, Lahore.